Hey everyone! 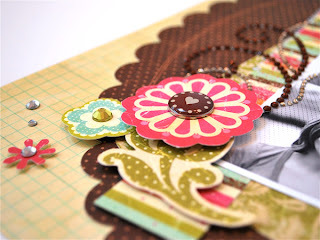 Just wanted to share a layout I created for the Collage Press blog using the ever so yummy collection Sweet Shoppe! 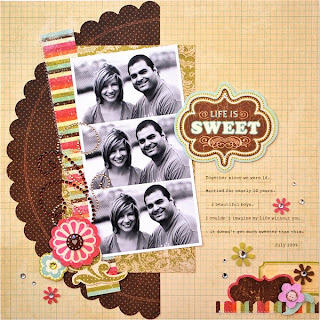 Of course I had to do a sweet and sappy layout about my "sweet life" with my dear hubby Salar for the month of February. We met when we were just 16 years old and have been inseparable ever since. He seriously is the BEST man I know and I am so thankful for the life we have together. 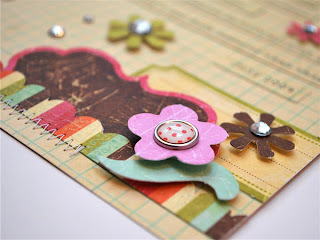 Love that layout girl - such great details and dimensions! What a gorgeous LO! Love all the CP stuff. just beautiful! it was so cool to finally meet you lynn! I LOVE that dimension! Your LO is just wonderful!! !